...do we even have to explain why this is too unrealistic for SE? What would happen if a ship with an Alcubierre warp drive collided with a planet at FTL speeds? Or a star? 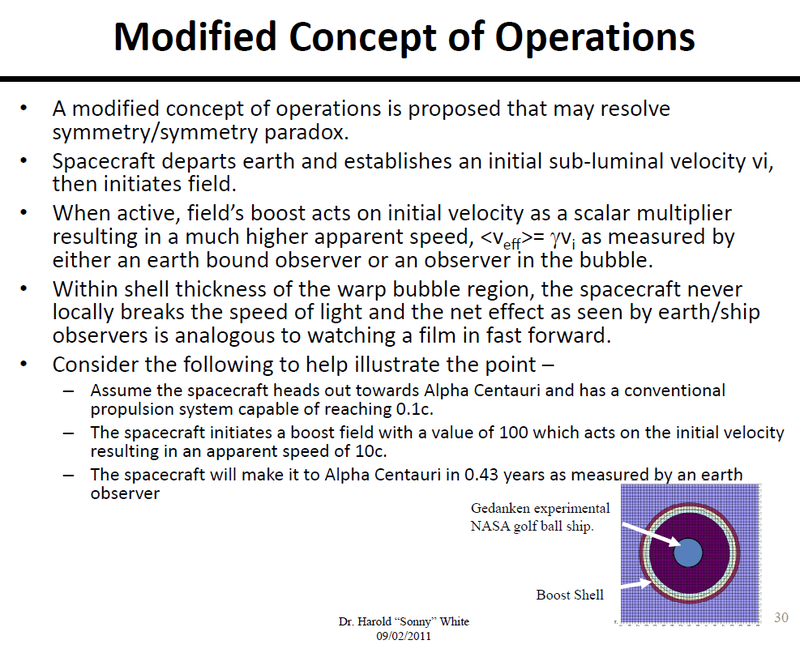 Source of the post What would happen if a ship with an Alcubierre warp drive collided with a planet at FTL speeds? Or a star? As far as I understand, this is not possible because a ship in a warp bubble is not in our universe, but in its own space-time bubble, in its own mini-universe. But I can be wrong. You might be right but it sounds dangerous. I think doing it the Elite: Dangerous way with an automatic emergency brake would work. But if an emergency brake is needed, what's to stop someone from building a warp drive without an emergency brake and installing it on an unmanned ship to make a planet-killer missile? The other question that interests me about the Alcubierre drive is whether any matter entering the warp bubble from the outside would get ripped apart by tidal forces. Source of the post what's to stop someone from building a warp drive without an emergency brake and installing it on an unmanned ship to make a planet-killer missile? The very fact that a warp drive wouldn't work like that. Warp drives are incapable of flying through a planets atmosphere, let alone transferring kinetic energy from the field. It is not actually moving at FTL speeds and the only energy that would be transferred is the base velocity of the craft. 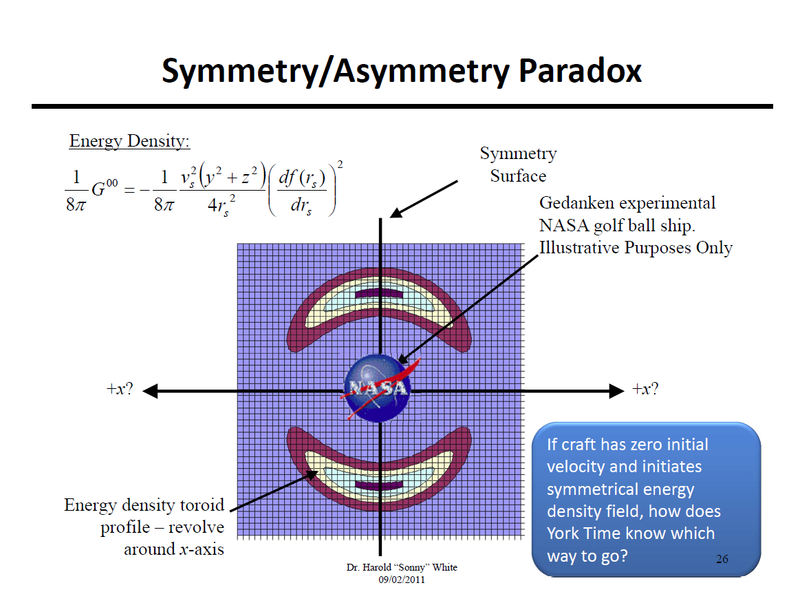 Source of the post The other question that interests me about the Alcubierre drive is whether any matter entering the warp bubble from the outside would get ripped apart by tidal forces. Depends on how strong the field is, in most cases objects would be displaced by the field or just fall in, lose their kinetic energy, and either get caught inside with the ship or float out through the back. Source of the post Warp drives are incapable of flying through a planets atmosphere, let alone transferring kinetic energy from the field. Why, and what would happen if you tried it? If the warp field can't be maintained, wouldn't that be more of an effect of the planet's gravity rather than its atmosphere? Source of the post Why, and what would happen if you tried it? 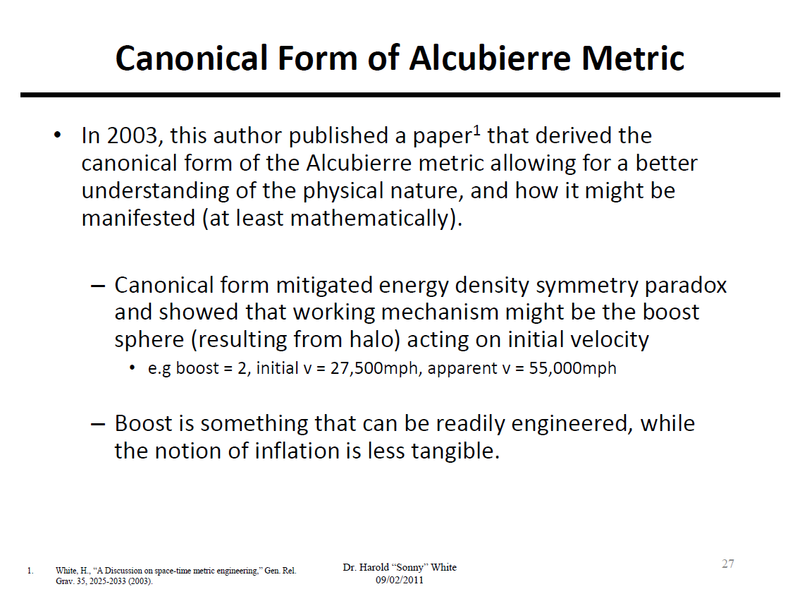 With the way Harold White explained it in his paper the field requires some form of input to offset it, this is why in SpaceEngine now it works as a boosting factor. The ships velocity is what directly changes the field layout. Your speed plus the field strength will be your effective velocity. If you flew such a sensitive field through a non vacuum, like a planets atmosphere, it would most likely collapse due to the high amounts of positive pressure vs negative. SpaceEngineer and I have discussed a mechanic regarding nebula. The warp fields may be slightly diminished in their effectiveness when traveling through but that is a far off in the future thing that may or may not ever be added. If we assume you flew into a planet at warp, so the field was on before entering the atmosphere, the energy exchanged between the field and the planet equalizes to near 0 and the ship slams into the planet imparting only the kinetic energy of it's base velocity. The key bit of info here is the ship is not actually moving at FTL speeds and the energy within the field is minimal at best. Source of the post If the warp field can't be maintained, wouldn't that be more of an effect of the planet's gravity rather than its atmosphere? Not really, the warp field is very small relative to the size of a planet. Can't really say if in real life that would be an issue, you would need to ask Watsisname, but as far as I know from reading through the papers and asking questions on things I didn't quite understand it wouldn't be an issue. Source of the post With the way Harold White explained it in his paper the field requires some form of input to offset it, this is why in SpaceEngine now it works as a boosting factor. I always interpreted that to mean that if you turned on the field without an initial velocity, you simply wouldn't move. While we're on the subject of superweapons, will the game allow us to move asteroids in order to mine them? If so, what's to stop someone from dropping them on a planet? Source of the post I always interpreted that to mean that if you turned on the field without an initial velocity, you simply wouldn't move. Everything is in motion, so all that would do is just accelerate you in the wrong direction or collapse the field. Source of the post While we're on the subject of superweapons, will the game allow us to move asteroids in order to mine them? If so, what's to stop someone from dropping them on a planet? The Galaxian Police Force would immediately charge you with Attempted Planetary Annhilation. This would be added on top of Grand Theft Spaceship, since mining ships with the ability to move asteroids of that size aren't sold to the consumer. I think the warp should continue on this "go anywhere, our fuel and time is the limit" idea, so the amount of distance the ship can cover should be based on the "seconds" or "minutes" of fuel left (based on your current physical velocity). But it would be cool (unrealistic) where any speed below 0.1 of c should be controllable, like the frameshift drive on E:D, but severly underpowered. I would love to see some ship-to-ship combat, weapons and stuff. I mean, imagine Space Engine being used for a RTS, it'll be Nexus: The Jupiter Incident all over again! Some day maybe, but that is so far down the list of things to be done it won't be added for a long while. it would be great if you can toggle a real and easy mode when you are flying a spaceship.